Can You See Me? Theatre present NIGHTBOOK in the Studio at the Sydney Opera House. Can You See Me? Theatre is a company of actors with cerebral palsy working with some able bodied actors under the Artistic Direction of Kylie Harris and Chrissie Koltai. NIGHTBOOK is a physical realisation of the dreamscapes of the participants: Georgia Cooper, David Ellis, Christopher Leonard, Ian Mitchell, Robert Mockler, Virginia Redenbach, Gavin Ryan, Glen Turnbull and Sarah Wood. In parts of NIGHTBOOK, for instance, Sarah yearns for a holiday in Fiji, Glenn rejects his lover, Robbie is in a nightmare and survives to live his dream of playing, spectacularly, for the Manly Rugby League team. There, too, were scary dreams, ballets and operas! Each of the participants have contributed conceptually to the content of this play and perform in creating a surreal experience of dreams of all kinds. 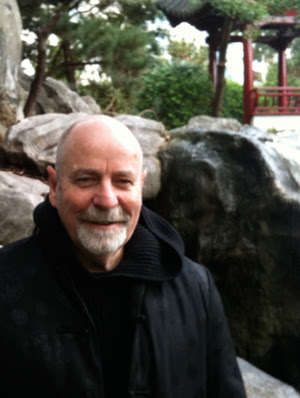 Christopher Leonard's love of books is the well-spring of the shape of the work. Using movement and voice: prose and poem, song and music, and choreography/dance, marvellously, in wheel chairs, the work was a coherent joy to watch. This work is all the more striking as it is an expression of the artists and has been shaped by Ms Koltai and Harris without any external artistic imposition of political impulses, or otherwise, of the facilitators. One is, relatively, watching the creative ideas of the cerebral palsy artists been facilitated without any vagaries of the able bodied artists needing to make a statement - they have 'submitted' to be the servants to the dreamscapes of these incredible Can You See me? Theatre artists. Those actors/creators/facilitators were assisted by Warwick Allsopp, Ryan Bennett, Jeremy Burtenshaw,Tim Cole, Sophie Cook and Odile Le Clezio with great sensitivity and a generous creative spirit. With musical accompaniment by Robin Gist, and an atmospheric lighting design by Chris Page on an exquisite set, with especially,a beautiful and apt costume design by Emma Kingsbury - detailed, humourous and magically distinctive for each. NIGHTBOOK was an inspiration of talent, commitment and extraordinary discipline, all these artists gave a funny, moving and breathtaking gift to the audience. Laughter and tears evoked with ease and clarity. 'Disability' is one of the buzz words of government and opposition policy and there seems to be some movement in bringing these minorities in our world to some proper place of opportunity and respected support. The Cerebral Palsy Alliance, with Rob White as its Chief Executive Officer, has found the means to fund this extraordinary event, the second one, having presented CIRCUMSPECTO last year, and he and his organisation ought to be extremely proud, indeed, to see their vision and faith in these artists so wonderfully embodied. (There was no direct Government support with funding for this work, I understand). One can only presume that the right authorities attended this extraordinary performance and found the inspiration to ensure that it continues, and that the future appreciation of the importance of this work is not just politically correct 'hot air', but, is a sincere commitment to the health of all our society. It is apparent, the significance of this performance had given to all of the performers, and, I can speak for the audience, too - there was much excitement and love in the foyer afterwards, where each of the artists, as they appeared, were individually rewarded with further applause. 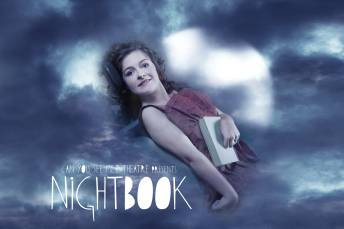 NIGHTBOOK, a model of Arts and Health in positive action together. Truly, beautiful and life enhancing. If you see only my physical self then who do you see? Who am I if my body is not acceptable to society? If I am not seen beyond my physical form, how can you see me? If an ordinary dream is just someone eating a bowl of cereal, the cereal bowl would have to have wings for it to be a dream. A bowl of cereal took flight in front of our eyes - amazing!